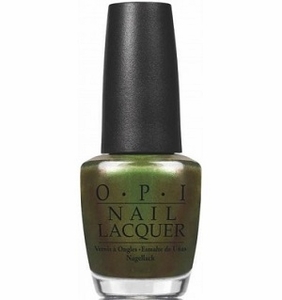 OPI Nail Polish, Green On The Runway, NLC18, .50 fl. oz. Deep green shimmery nail color with a duo chrome effect that shifts to dark reddish brown.